(RRP £289.99). 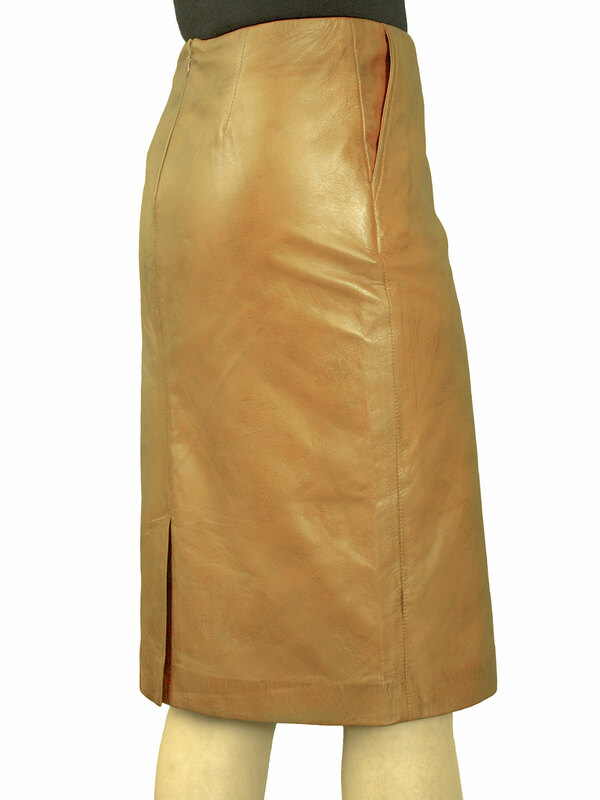 A classy and elegant leather pencil skirt in a superior soft smooth semi-aniline nappa leather. 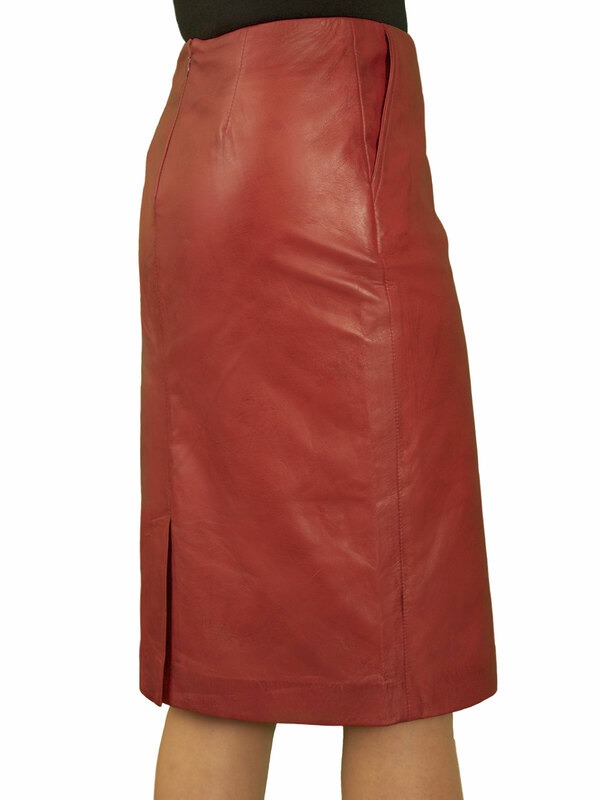 The leather has a special waxed finish which gives a subtle shading effect. It is knee-length and beautifully tailored for a shapely flattering fit. It is styled with two side slant pockets and a rear vent. Fully lined. We also have larger sizes for the fuller figure. Exclusive to Tout Ensemble by Ashwood. A matching waistcoat is also available to wear as an outfit. Available in black, cognac tan and cherry red. (RRP £289.99). 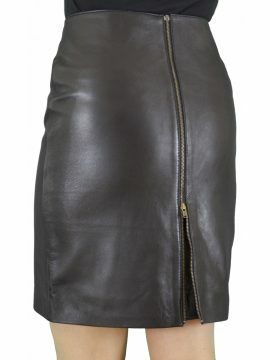 A very elegant leather pencil skirt in luxury soft smooth semi-aniline nappa leather that is ideal for smart or smart-casual wear, day or evening. It just covers over the knee and is exquisitely-tailored for a sleek shapely fit. Note: We have a matching waistcoat so you can wear the two as an outfit.